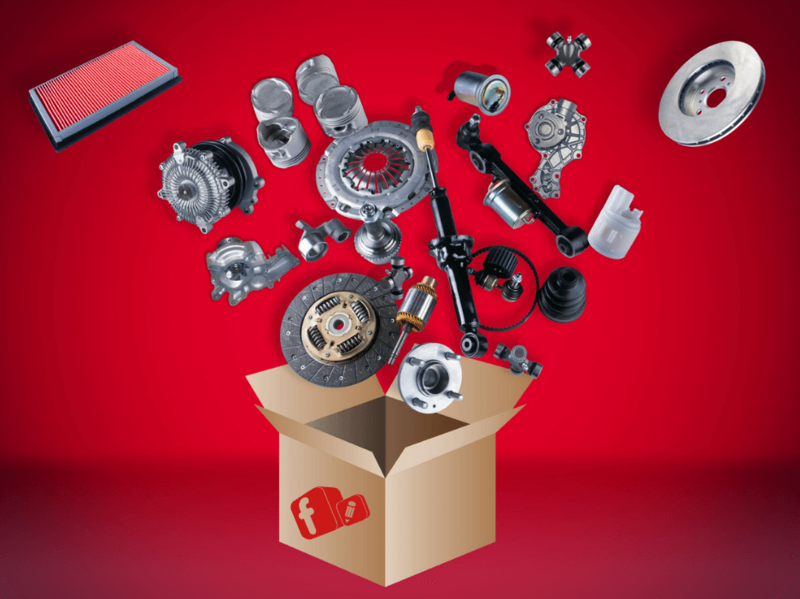 Selling auto parts online, you’re operating in a growing but competitive market. Sourcing the right stock, getting it online and ensuring that customers find your auto parts website when they search takes hard work. It’s common for automotive parts sellers to find they’ve become so focused on this journey, that they’ve neglected the importance of their brand. But brand is essential for automotive parts retailers. As an auto parts retailer, here’s why you should take time to develop your brand, and how you should do it. Regardless of whether you are two people or two hundred, your brand is a powerful tool to align individuals towards a mission and a purpose. Your brand communicates who you are and what you stand for in a way that transcends traditional communication. And most importantly, as your business and team scales, your brand is a tool that scales with it. If you can, you should create your brand values in collaboration with your first employees. Instilling that sense of investment in the first real pillars of your business will ensure they represent and advocate your brand not just to the outside world, but internally too. A strong brand comes from the centre of the organisation. It aligns the business side of ‘what we do’ with the story of ‘why, and how we do it’. If you still don’t think branding is for you, you’re not alone. Many small businesses think that branding is something only large businesses can afford or need. But your company name, the way you answer the phone, what your customers say when they’re asked about you, these things all build to create an impression of your company and what it’s like to do business with you. That’s your brand. And it may be just as important to your relationships with partners and suppliers as it is to your customers. So, you can either just let whatever impression you give happen haphazardly, or you can take control and manage it to your advantage. Selling automotive parts online is a crowded space. There’s so much choice, it can be overwhelming for customers. Brands act as mental shortcuts for customers, making the decision process quicker and intuitive. You want a gift for a birthday tomorrow. It’s important that it arrives on time, so you need to think quick. Many of you would go straight to Amazon. Because you know the Amazon brand and trust it to deliver the item you want on time. Amazon’s USP is fast delivery and as a brand, Amazon have created that shortcut in your mind. The shortcut is made up of more their logo or what they say. It’s made up of the experiences, memories and emotions that you attach their brand. Good branding plants those things in people’s minds, helping them take root and grow. Customer loyalty is impossible without a brand. Your brand is more than your logo. It’s the sum of everything that surrounds a business; the words its uses, values it holds, stories it tells and goals it works for. Your brand is both the appearance and personality of your business. It’s a good idea to regularly take stock of your brand and see if it’s working as hard as it should be. If there’s any doubt, get to work. Consider getting a second opinion from branding experts. A fresh perspective will always help. When I wrote the title for this section, I was unsure whether to write ‘brand to be unique’ or ‘brand to be competitive’. I feel like they mean the same thing in e-commerce today. It doesn’t matter what you’re selling, hundreds of people are sure to be selling the same thing online. That’s especially true for mass production products like auto parts. 93 percent of auto parts buyers research online before making a purchase. That’s true whether the purchase is made online or in a retail store. It’s so easy now. Simply Google, click the top three links and compare the offerings. You need to be competitive to sell. And that doesn’t mean dropping prices. Over discounting is a quick way to kill a small business, and so you need to be strategic and only discount in a way that strengthens your brand. Similarly, next day delivery, although attractive, is not the unique feature it once was. 82 percent of parts buyers say that they base their purchase decision on a brand’s online presence. Selling with a strong brand is the best way to appeal to customers and protect profit margins. Comparison shopping makes a lot of e-commerce retailers nervous. But it shouldn’t. Customers are not just shopping around for price, they’re comparing service and perceived trustworthiness. If you offer a quality service, comparison shoppers are good for you. You just need a brand that clearly articulates your unique points. Today, brand is pretty much the only thing stood between you and your competitor.